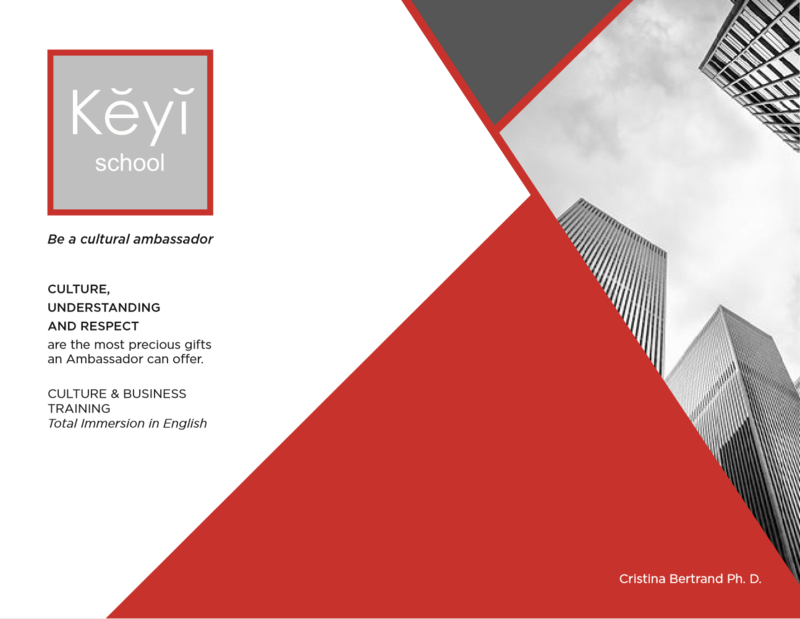 The Keyi Be a Cultural Ambassador seminar is designed for businessmen and women who plan to travel abroad and want assurance they will get the most from their travel experience and business communications. The two-day Keyi Be a Cultural Ambassador seminar will lay the groundwork for social and business success through an intense, integrated program that combines English instruction with cultural understanding. Participants will gain confidence dealing with Englishspeakers from other countries while learning to be true Cultural Ambasssadors who can represent their own country´s best image to the world. Culture, Understanding and Respect are the most precious gifts an Ambassador can offer. Please contact Cristina Bertrand at cristina.bertrand@protonmail.com before registering.